A visit to Cleland is a tourist must amongst the Adelaide Hills. Bring a picnic to share with the family and enjoy getting up close and personal with some iconic native Australian wildlife. 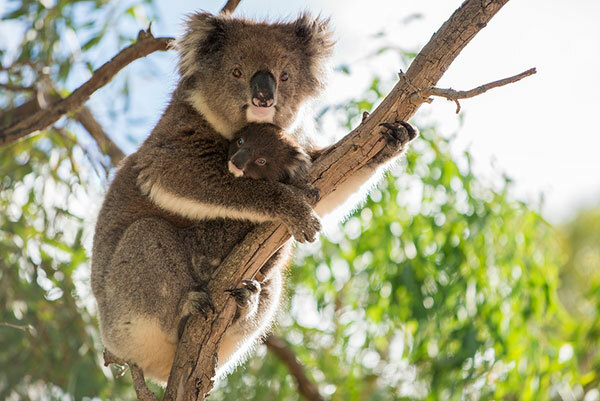 Hand feed koala’s, kangaroos and wallabies, colourful rainbow lorikeets and see other Australian native icons such as dingoes, emus, tassie devils, wombats and more! Some animals roam freely in the park and others are housed in specialised enclosures including a reptile hut with plenty of snakes and lizards. Everywhere you walk you’ll find informative plaques detailing information about the animals and the environment they enjoy. Being right next to Mount Lofty it’s also a perfect opportunity to go and see the view from the summit. From there you get to choose which restaurant to enjoy your breakfast or lunch, there’s one at the summit and also one at the park and both get rave reviews. If you have around 2 hours to kill, the guided tour is fantastic and will take you on an interactive walk through the park to see the behind the scenes action including the vet, the kitchens to see how the food is prepared and more. Fascinating for kids and entertaining for adults. You might also like to grab some professional photos with the animals to take home as a souvenir. Getting there is easy and you have a few options, you could drive, travel on public transport or take the walk from Waterfall Gully. Entry starts at 25 dollars for an adult ticket with discounts for children, seniors and families, park fees go towards the care of the animals.